last night my good friend Andreas aka Feanor was at my place and we had a great painting session together. I´m actually working on a very-long-time-wip.... the "Drunken Pirate". 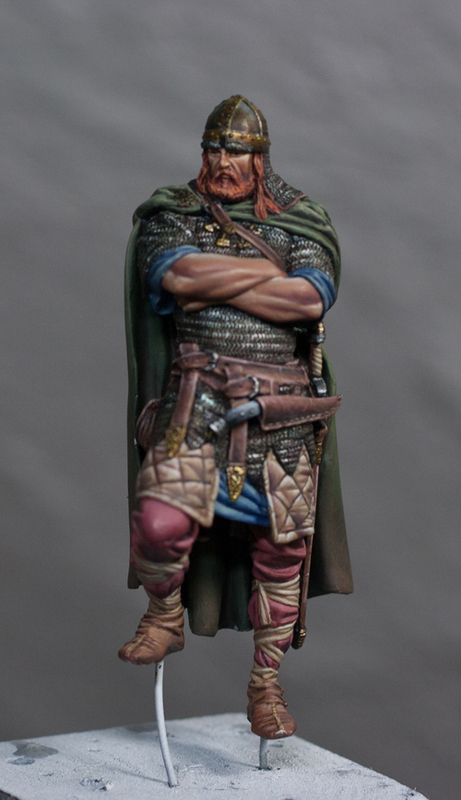 It´s time to get him out of the wip-section of my cabinet as the half-finished bust makes me crazy every time I have a look at my miniatures. 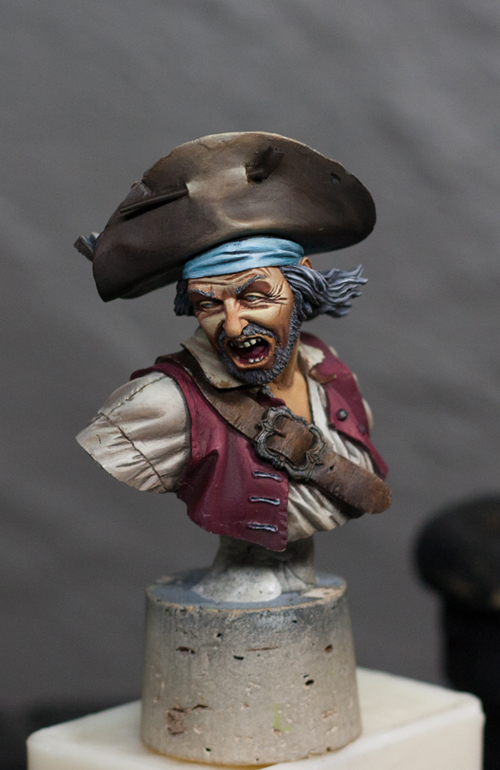 So last night I focused on the face and the hat... and actually I enjoy painting him... I´m sure he won´t be a perfect paintjob but he has to be finished before I start the next project. But nevertheless... my thoughts are with my friends in Egypt... please take care! Bei dem geilen Wetter hier kann ich Dir auch empfehlen in die Eifel zu fahren und dort zu entspannen. Die Gegend um den Ruhrsee ist total cool. Oder das Hohes Venn Moorgebiet. Und Monschau musst Du Dir unbedingt anschauen wenn Du in die Ecke fährst.